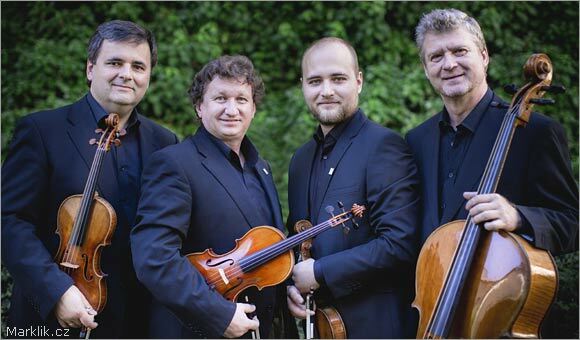 On Sunday 3 January 2016 at 6.30pm the Wihan Quartet will be performing a programme of Czech string quartets at the Conway Hall, and I will be giving the pre-concert talk. At 5.30pm I will be talking about Another vein of nationalism - Czech chamber music in the 19th and 20th centuries which will be followed by the Wihan Quartet playing Janacek's String Quartet No. 1 'Kreutzer Sonata', Smetana String Quartet No.1 in E minor ‘From my Life’ and Dvořák's String Quartet in E flat Op.51 ‘Slavonic’. Tickets: £10. Free entry for people aged 8 – 25 (courtesy of the CAVATINA Ticket Scheme). Full information from the Conway Hall website.